Here's how to prepare for the coming allergy season. Spring is in the air, and so are millions of pollen particles, the tiny grains that fertilize plants. Seasonal allergies — also known as hay fever — can affect almost anyone and at any time in life. Although most people begin to experience allergies in childhood or early adulthood, sometimes the symptoms become more problematic later in life, especially if their living environment changes. "Even if you have never suffered from allergies — or used to when you were much younger but not anymore — there is a good chance you will become more sensitive to pollen as you reach your 60s and 70s, although it's not clear why," says Dr. Mariana Castells, of the Department of Allergy, Rheumatology, and Immunology at Harvard-affiliated Brigham and Women's Hospital. This doesn't mean you automatically are doomed to weeks or months of piling up empty tissue boxes. "Many people tend to endure seasonal allergies, but you don't always have to suffer," says Dr. Castells. "There are ways to protect yourself from allergy symptoms and manage their severity, as well as increase your tolerance to specific allergens." 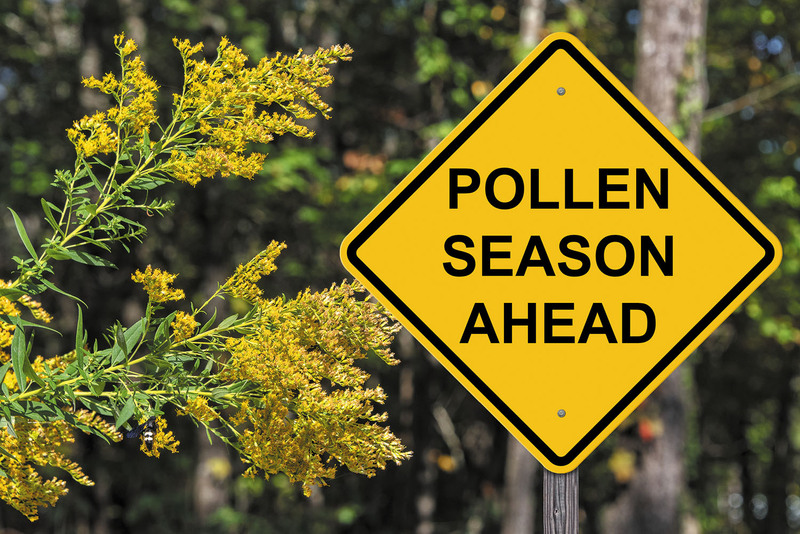 The biggest culprits for spring and summer allergies are tree, grass, and ragweed pollen. When you inhale pollen, your immune system generates antibodies called immunoglobulin E (IgE) that trigger mast cells to release chemicals called mediators, such as histamine, leukotrienes, and prostaglandins. These eventually spread to different tissues like the eyes, nose, throat, and lungs. Symptoms vary in severity and length, depending on your specific sensitivity to certain pollen and the amount of exposure. "It's also dictated by how much IgE your body produces and how many tissues are affected," says Dr. Castells. This is why some people experience allergies only during the spring or summer, and why people may fight symptoms for several days or weeks or the entire season. If you are a regular allergy sufferer, or your symptoms have become more severe over the years, speak with your doctor about allergy shots, which may help you to develop a tolerance of certain allergens. They work like this. First, a skin or blood test helps identify your specific allergens, like grasses, trees, and weed pollen, as well as dust, animal dander, and molds. Then an allergist creates a personalized treatment with tiny amounts of the offending allergens and gives it to you via an injection every week for about three to six months. The dose is gradually increased with the intention of reducing your immune system's response to it. After that, you receive monthly maintenance injections for about three to five years. Another option is to take the treatment via a tablet under the tongue. There is no buildup period as with injections. Instead, the tablets are taken daily for a few weeks before and during pollen season. You can take steps to protect yourself during allergy season by reducing your exposure to pollen. The first step is to closely monitor your environment. Close your windows to keep out pollen, and turn on the air conditioner to help eliminate it from the indoor air. Also, exercise in the late afternoon or early evening when pollen count is often lower. And when you are stuck outside when the pollen count is high, wear a surgical mask. "You may look funny, but it can often block 70% to 80% of pollen from being inhaled," says Dr. Castells. When symptoms strike, there are several over-the-counter remedies that can help manage them. Here is a look at the common medications for allergies. Antihistamines. As their name implies, these drugs work against the histamine your body releases when exposed to pollen. Antihistamines help relieve nasal congestion, a runny nose, frequent sneezing, and itchy, watery eyes. The older antihistamine pills, such as diphenhydramine (Benadryl), often cause drowsiness. Yet, the newer ones like loratadine (Claritin) and fexofenadine (Allegra) are less sedating. They are also available as less expensive generics. Decongestants. These come as pills and nasal sprays, and help unclog a stuffy nose. Pill decongestants can increase heart rate and blood pressure, so don't take them if you have a heart problem or high blood pressure. Nasal steroids. You spray these into your nose, where they help reduce inflammation, nasal congestion or itching, and sneezing. Symptoms often clear up within a week. An even better strategy is to begin using nasal steroids before the pollen season begins. Possible side effects include a stinging sensation, nasal dryness, headaches, and nose bleeds. "Antihistamines and decongestants are sometimes enough to relieve allergy symptoms," says Dr. Castells. "If that is not sufficient, then a combination of antihistamines and nasal steroids is the next step." What's the story with Fosamax?